The team at the Law Offices of Larry S. Buckley have helped countless clients throughout the greater Sacramento area with their legal claims. This includes a number of lawsuits involving serious spinal cord injury and lasting impariment/disability. We'd like to consider these kinds of incidents right now simply given how they can change the lives of the injury victim as well as those who are closest to the injury victim. Serious spinal cord injuries can have a major impact on your mobility for years down the road. You may be unable to move for days, or have your movement restricted for weeks simply given the nature of the back injury, leading to lost wages, major medical bills, and so forth. If the back injury is especially serious, it could result in partial or total paralysis. It is not unheard of for major back injuries to result in paraplegia (loss of use of the lower extremities) or quadriplegia (loss of use of all extremities). These major back injuries mean significant changes to your life, your livelihood, and the lives of your loved ones. A number of major back injuries and neck injuries are the result of motor vehicle collisions. Cars and motorcycles create tremendous force when they collide, and when these vehicles come into contact with one another or strike bicyclists or pedestrians, the injuries can be devastating. We expect doctors and surgeons to be experts at their craft and that they will keep us healthy, but many errors made by medical professionals result in serious back injuries and trauma. This is especially crucial to consider when a person is undergoing spinal cord treatment or surgery of some kind. Construction sites and industrial workplaces present many major hazards to workers as well as passersby. 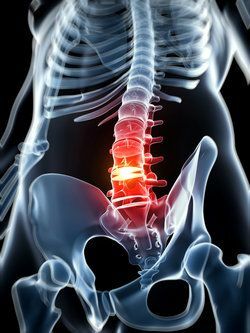 It is not unheard of for major accidents in or around these kinds of places to result in major injuries to the spinal cord. When visiting any establishment, it's important that certain safety standards be met in order to protect the well-being of customers, patrons, or visitors of any kind. Sometimes places are unsafe for visitors, however, resulting in major slips, trips, and falls. When these occur, the injuries sustained to the neck and back and be quite severe. If you play contact sports or participate in combat sports, you know that there are many risks involved. One such risk to consider is the possibility of a serious neck or back injury. This is one reason why it's important to wear protective gear and to look out for your fellow athletes whenever you are in a competition. A number of physical attacks result in serious injuries, spinal cord injuries among them. The nature and severity of the attack generally determines how serious the spinal cord injury that has been sustained. For more information on your legal options following a serious spinal cord injury, it's important that you contact the lawyers of our personal injury law firm today. At the Law Offices of Larry S. Buckley, we will help you receive just compensation for injuries sustained and hardships that you've had to endure.